I was thinking about how to use LDD for some really fun brik-warsy stuff and realized. 2. We have two player teams and it works a bit like Risk. Each team has armies that they get every turn and they attempt to take over the entire world to win. Each battle is fought brikwars style to decide who wins. 2. Spend no more than 35-45 CP for your starting vehicle. 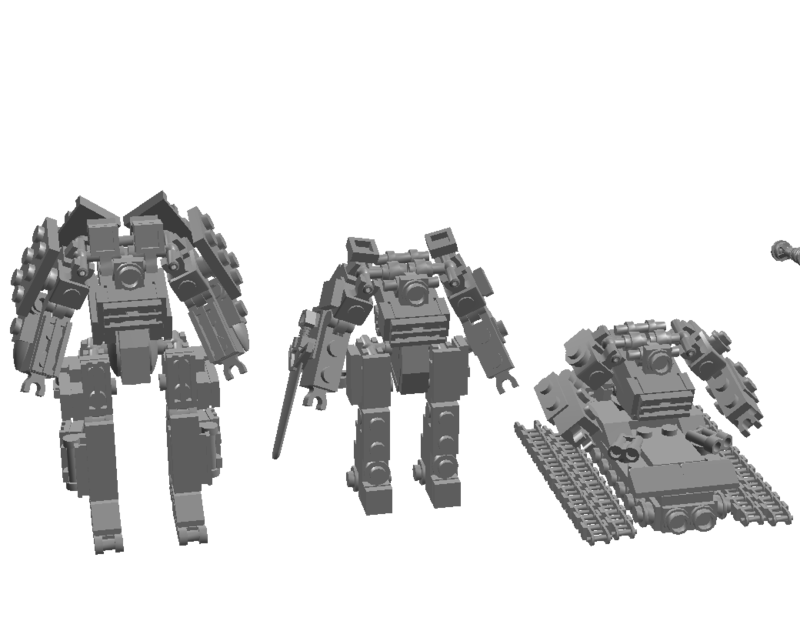 Upgrades will be available as this goes along so don't worry if you have a super-mech idea but not enough CP for it. 3. More CP will be earned as the campaign goes, CP earned from a target is the target's CP cost for mini's and half for vehicles. CP can also be earned in other ways, such as setting up for a teammate, tanking well, or other feats. 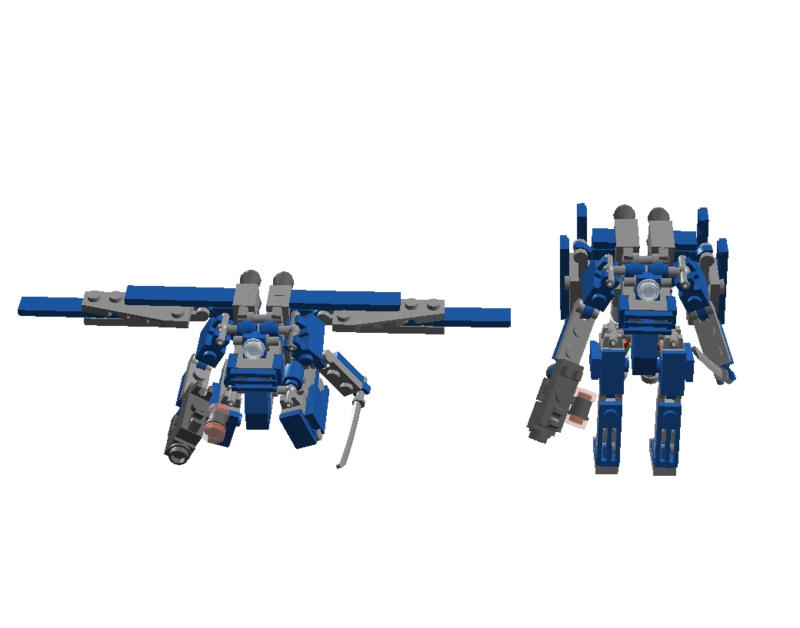 It even has a bit on mini-mecha. The idea was to go normal-sized brikwars here (Minifigs and such) But if there happens to be an overwhelming consent to use microscale we can do that instead. 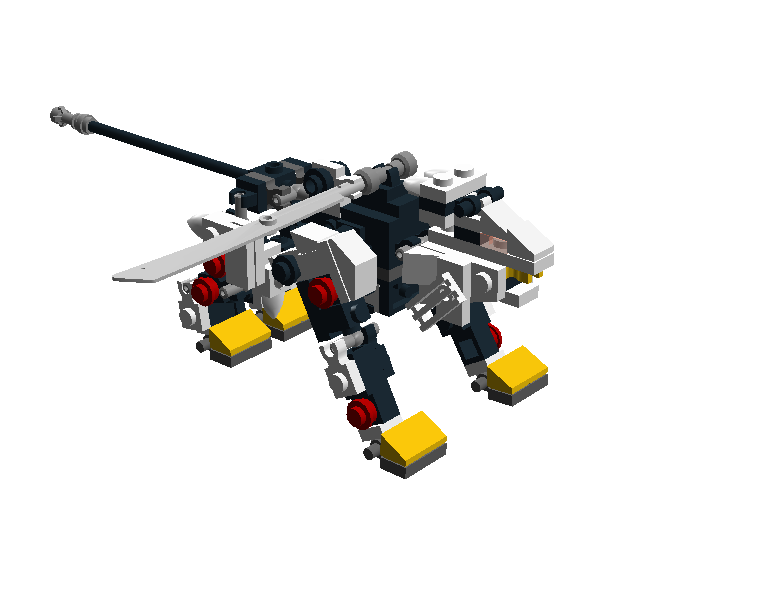 I suggest microscale,since having too many briks loaded in LDD will screw with your PC. Maybe have everyone design a minimecha with different specialties, and then have wave after wave of cheap and expendable enemy mechas attack, and the player's mechas will have to fend them off, all while trying to reach objectives like repair stations or radio relays. Microscale seems to be a safe bet. My PC had problems with all the buildings when moving or cloning them. This being the case, your rules just became of much greater importance. Is there anyone interested in joining that needs any assistance? I know that looking up Mobile Frame Zero helped me understand micro-mecha much better. Google and see what you can find! they can be the generic enemy mecha, I guess. I'll try to build a little mech for this soon. 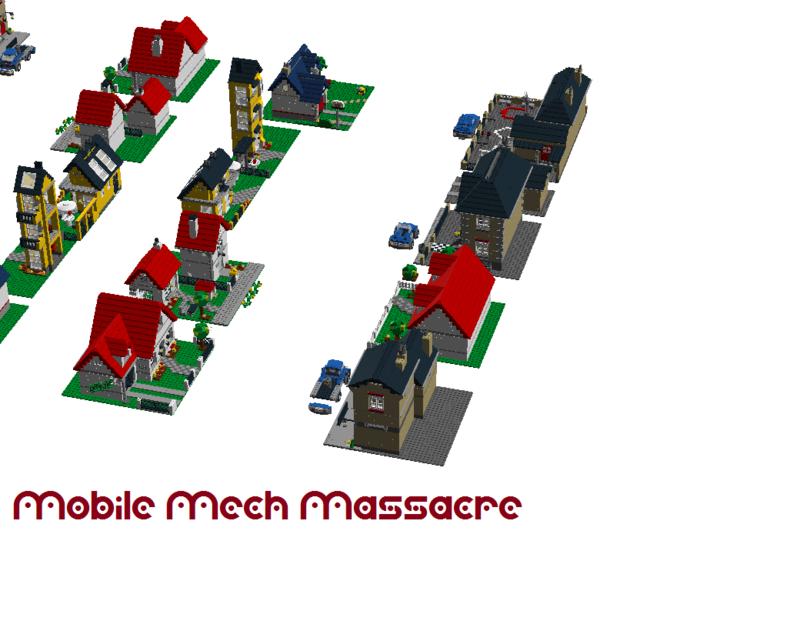 I'm currently working on some terrain modules since I've found some LDD free use MFZ files for mechs. The terrain modules ought to help shape up the game when finished. That guy has an amazing gallery. You are a group of soldiers who once served in your various country militaries and fought against one another until the entire world was attacked by the shadow organization known as "Legion". Legion deployed advanced mecha but were defeated by the world's combined might. After the victory, world leaders decided to join their nations as union. Thus a world-wide nation was born. However, Military leaders soon forced bills through the senate to create a world wide army. This army rebeled and has taken upon themselves the name of "Neo Legion". 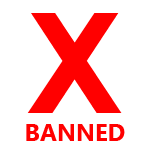 You are fighting to stop the NL forces. As for terrain modules, I'm about half-way done with the desert modules but I'll still need walls and base pieces in order to run any missions besides skirmishes. Mission one is ready to go. 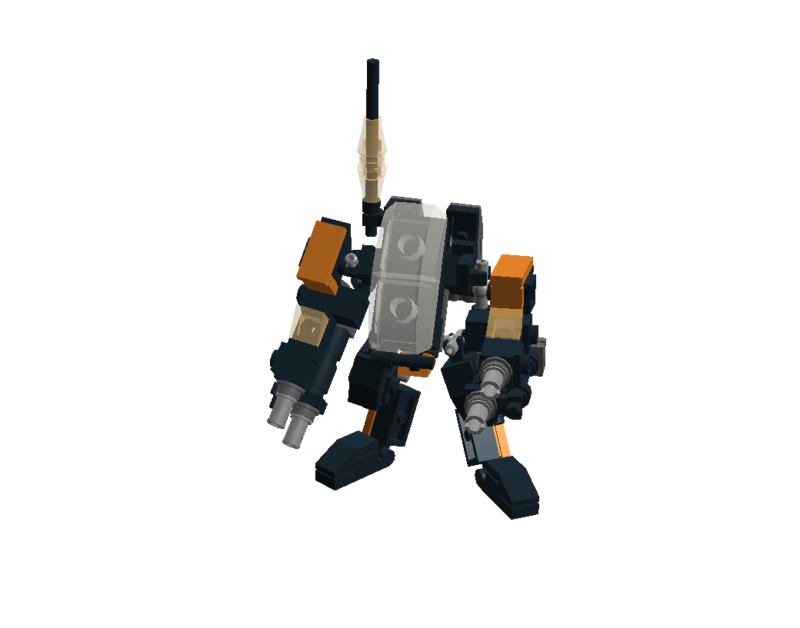 For mech creation, Just create stats like you would a minifig in Brikwars. One inch and shy of two inches is a minifig type of stats with 2 inches or so being a steel horse. We will be ready to go as soon as we have everyone who wants to play available. 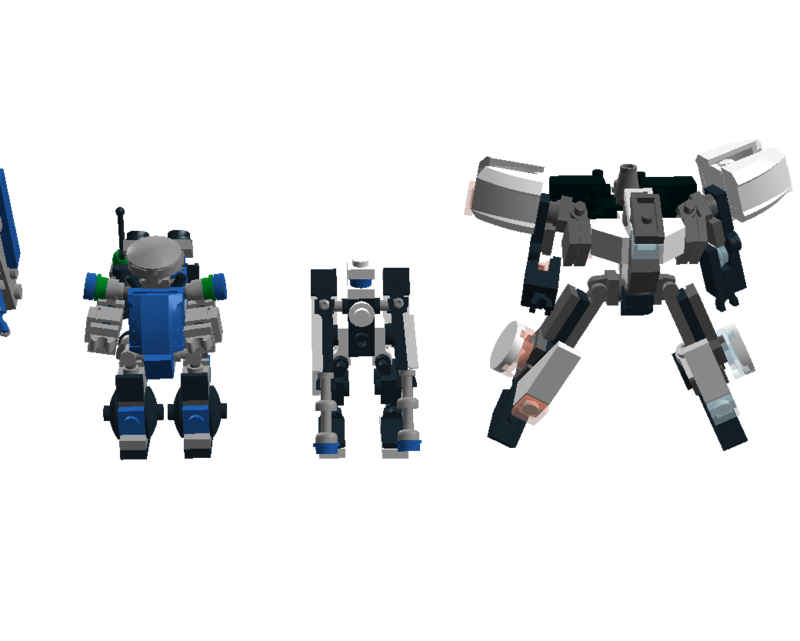 If you need a mech to edit or reference from I have a few from Mobile Frame Zero in LDD available alongside my Liger zero model that can be seen below. Oh cool, are you using Mobile Frame Zero's "7 point" scale, I.E. a Minifig is suppose to be seven plates high? What are those things in the back? Oh those are just "Civilian" versions of the stuff you see in the front row, the hardsuit and the Gecko line of robots. 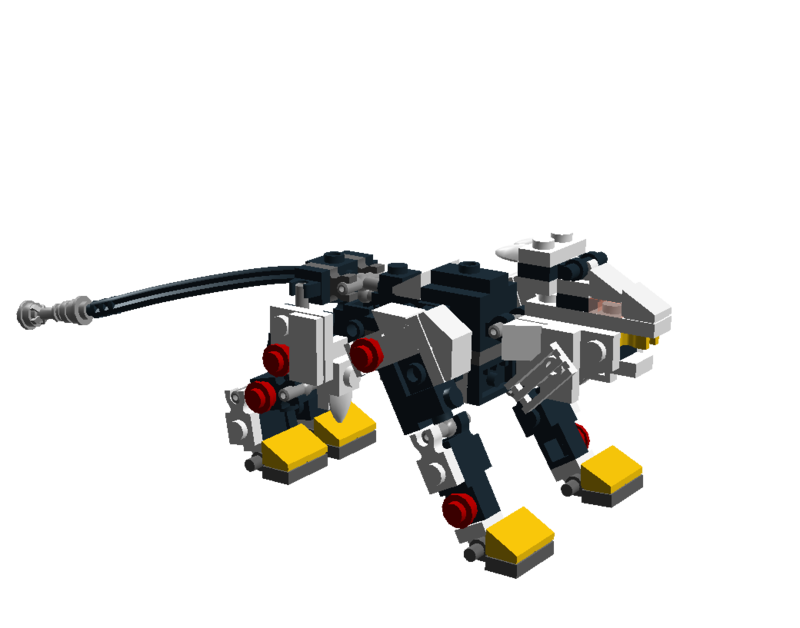 I've got a few MOC MFZ models in LDD, from when I went on a micro building spree to feed my need for ARTICULATION!!! Whiteagle wrote: Oh those are just "Civilian" versions of the stuff you see in the front row, the hardsuit and the Gecko line of robots. It's official, you have some serious skill there mate. Everything is just awesome!